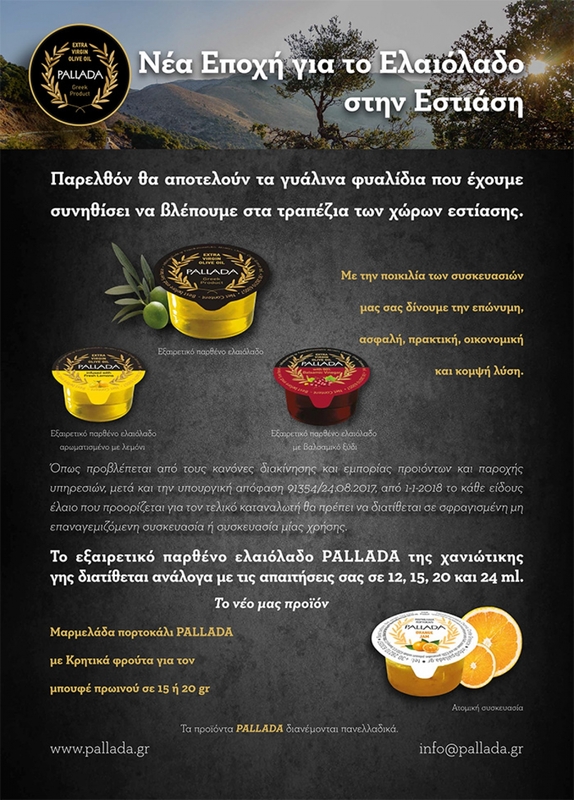 Exclusive collaboration with e-shop www.greatfood.gr for retail sale of our products. 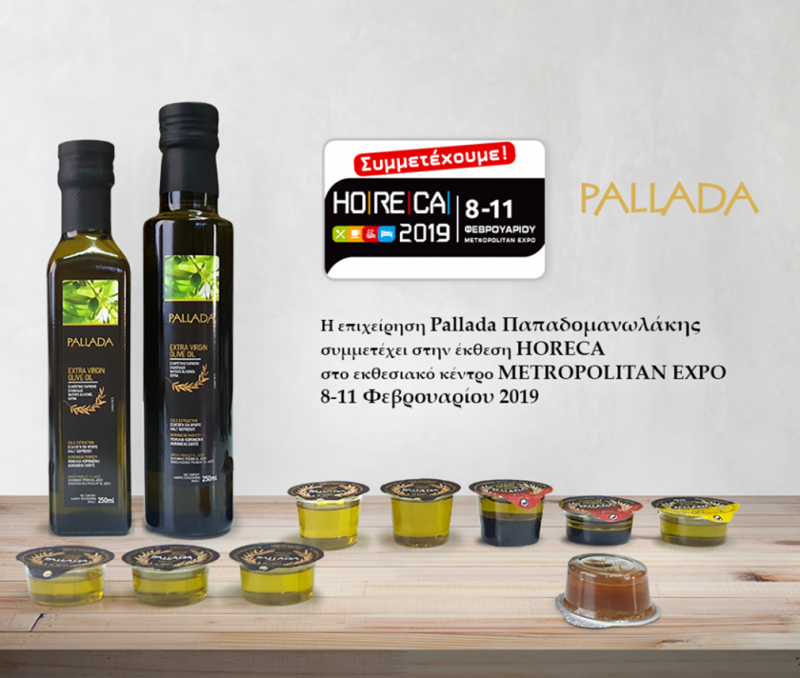 It was with great joy that we responded to the invitation of the Greek Hotels Chamber of Commerce to join their stand as a supplier of the Greek breakfast program at this year's HORECA, which took place at Metropolitan Expo, 8-11 February 2019. 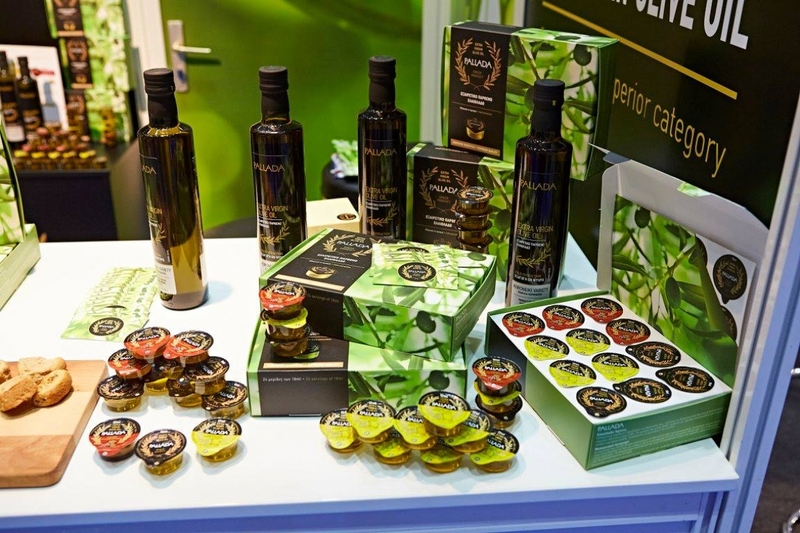 Our company participation was particularly successful at this year's Food Expo, which took place on March 6-18 at the Metropolitan Expo. We introduced our new products, cooked and exchanged views and business cards with remarkable professionals. 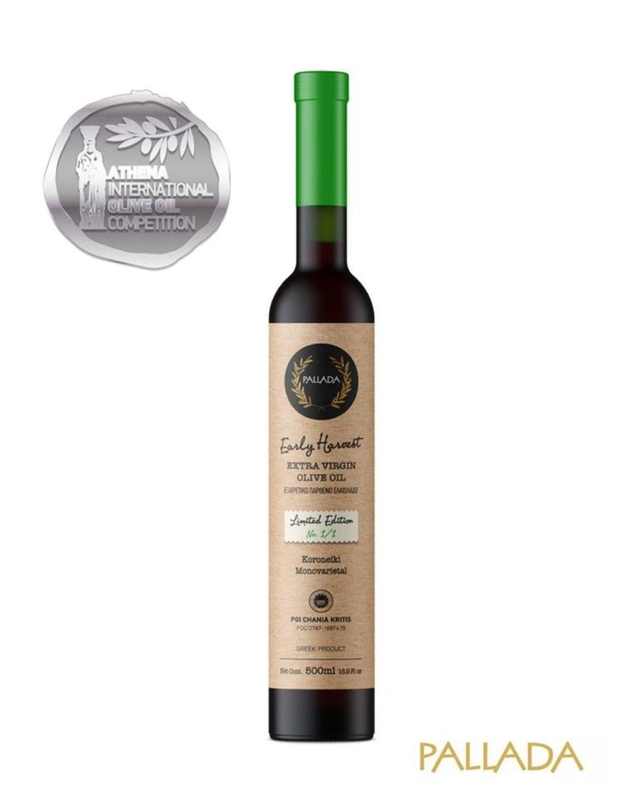 Delighted to receive a Silver medal in Athena International Olive Oil Competition - Athiooc and an honour with a total score of 88/100 in the Cretan Olive Oil Competition. 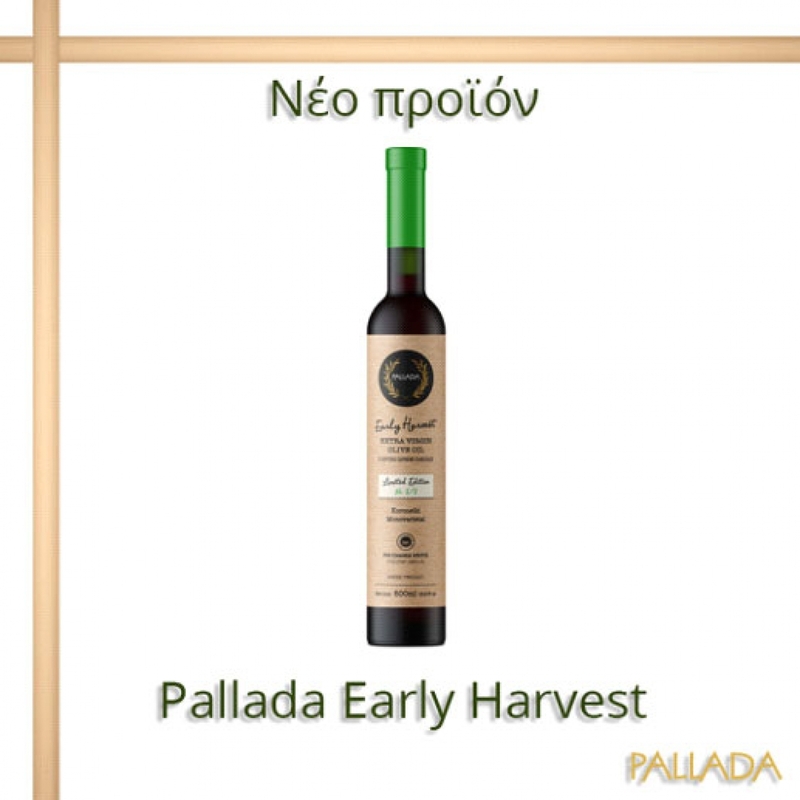 Very happy & proud to present our Pallada Early Harvest, 500mL. We bottle only the press of the best olives, harvested on the first days of October. Harmonious and elegant extra virgin olive oil of premium quality, intensely fruity, decisively bitter and peppery. Limited production- 4000 numbered bottles for 2018-2019 season. 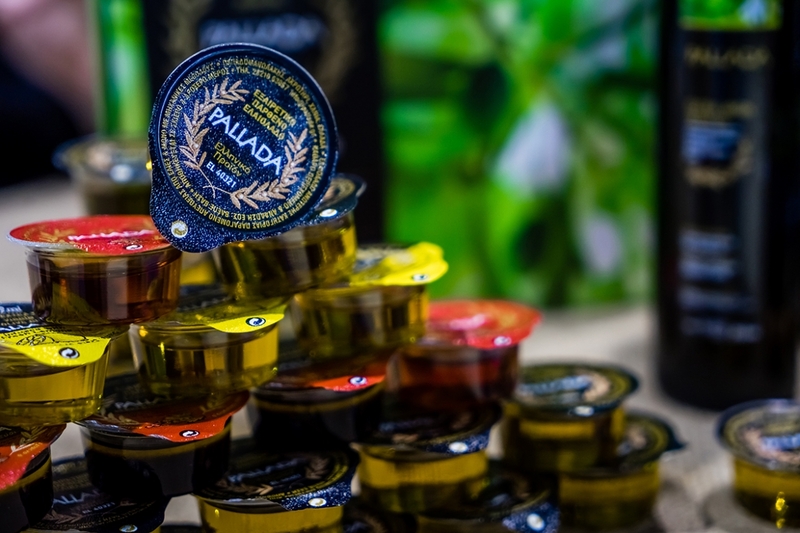 Our participation with Pallada extra virgin olive oil in portions at World Travel Catering & Onboard Services Expo in Hamburg, 2016 as showed in Onboard Hospitality magazine. We would like to thank the Onboard Hospitality (www.onboardhospitality.com ), the leading industry magazine of the airline, rail and cruise hospitality world wide for the article.